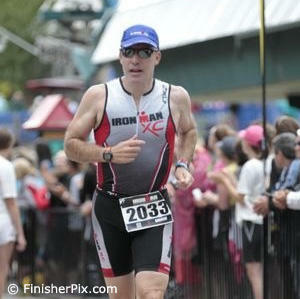 When I finished Ironman Mont Tremblant, I found out that the CEO of WTC (governing body of Ironman races), Andrew Messick did the race and beat me. Prior to the race, there was no mention of him being in it and I figured he decided to do the race "stealth" to and not draw attention to it. I thought the primary reason was to stay in touch with the the experience the athletes have during a race to ensure it is an awesome Ironman-branded experience. A few days later, more light was shed on the reasoning for Andrew competing at Mont Tremblant.If you get a moment, I would definitely recommend reading the article as a reminder that every day is a blessing.